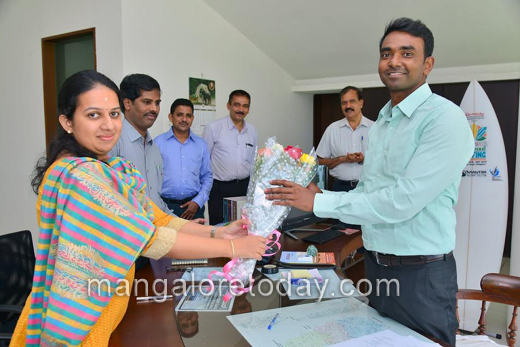 Mangaluru, Aug 01, 2016: Dr Jagadeesha K G has taken charge as the new Deputy Commissioner of Dakshina Kannada on August 1, Monday. Zilla Panchayat CEO P I Sreevidya handed over charge to the new DC. Sreevidya was entrusted with the additional responsibility after outgoing Deputy Commissioner A B Ibrahim who has been appointed as Commissioner for Transport and Road Safety vacated his post. A 2005 batch IAS officer, Dr Jagadeesha was earlier serving as Managing Director of Rajeev Gandhi Rural Housing Corporation. 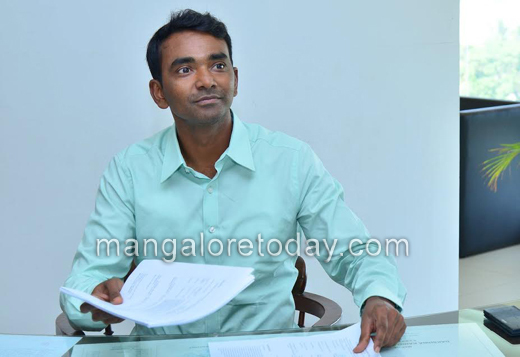 He has also the experience of working as Deputy Commissioner of Kalaburgi district. Additional Deputy Commissioner Kumar, Information Officer Khader Shah, DC Office Tahsildar Manikya and others were present.